For many years, the Habersham Woods neighborhood was known as Savannah’s “hidden gem,” offering spacious homes, wide streets, friendly neighbors and an exceptional quality of life. Today, this charming neighborhood, which runs on either side of Habersham Street between Wheeler Street and Johnston Street, is one of the city’s most desirable areas to call home. Over the years, some of the neighborhood’s homes were created by noted architects like Thomas Stanley, Jr. and Eric Meyerhoff and by designers like Ted Waters. While stationed overseas, Stanley gained an appreciation for Japanese architecture, especially the natural wood, vertical boards, wide overhangs and open spaces that would later become the hallmark of many of his designs. The landscaping in Habersham Woods is mature, defined by live oaks, pine trees and manicured lawns. CENTRAL LOCATION – Habersham Woods is conveniently located between Savannah’s trendy downtown neighborhoods and the southside and is walking distance from the Habersham YMCA and the JEA. 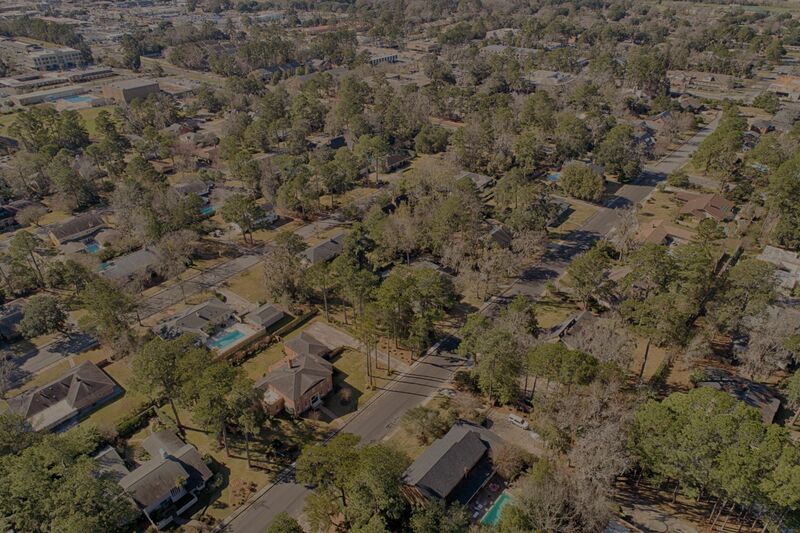 Easy access to Montgomery Cross Road, the Truman Parkway and Abercorn Street make it a great commuter neighborhood, while many of the interior streets end in cul de sacs, keeping traffic calm. This close-knit community is just minutes from local hospitals, Oglethorpe Mall and downtown Savannah. EXCELLENT QUALITY OF LIFE – The homes at Habersham Woods are larger than those in many other midtown neighborhoods, with ample off-street parking, spacious yards and swimming pools. Wide streets, mature trees and friendly neighbors contribute to the incredible quality of life in Habersham Woods. Sidewalks and pathways connecting with major thoroughfares also make this one of Savannah’s most walkable and bike-friendly neighborhoods. INCREDIBLE VARIETY OF HOMES – Most of the neighborhood’s houses – an impressive selection of move-in-ready brick ranch homes mixed with traditional colonials, Georgian revival finds and mid-century modern treasures – are stylish and family-friendly. Homes tend to be elegant and well-maintained, with a refreshing mixture of traditional and contemporary architecture. Homeowners in Habersham Woods treasure the flexible spaces, open floor plans and large windows that fill homes with natural light. STRONG NEIGHBORHOOD FEEL – Habersham Woods has always been known as a tight-knit neighborhood. It’s the kind of subdivision where residents know their neighbors, put down roots and stay long-term. In fact, many homeowners have lived in the neighborhood for 40 years or even longer. Habersham Woods offers a warm, welcoming atmosphere for newcomers as well, making new residents feel right at home. Home prices in Habersham Woods are on the rise, increasing from an average sale price of $321,500 in 2013 to $416,000 in 2018. Compared to neighborhoods like Ardsley Park, Habersham Woods offers the same convenience with more affordable pricing. If you’re looking for a home in a relaxed, friendly neighborhood in a convenient midtown location, take the time to explore all that Habersham Woods has to offer. Staci Donegan is an associate broker at Three Oaks Realty Company who provides highly professional, strategic solutions for buyers and sellers throughout the Savannah area. She can be reached at staci@stacidoneganrealestate.com or 912-247-2052.